Cable Distribution Services’ pendant & festoon cables are designed with movement and suspension in mind. Manufactured to meet stringent Australian and International standards, our festoon & pendant cables are designed to withstand the extreme operating conditions prevalent in the materials handling industry in Western Australia. Conveyors, machine tools, power tracks, hoists and crane systems all stand to benefit from power or control cables offered by Cable Distribution Services. Our flexible, suspension PVC pendant cable is applicable as a control or feeder cable in dry and damp rooms, on conveyors, machinery and equipment for indoor & outdoor environments. It is well proven under extreme outdoor operating and temperature conditions with a temperature range of -15oC to 70oC. The two external steel suspension elements are designed to absorb tensile force and can also be removed without damaging the outer sheath. 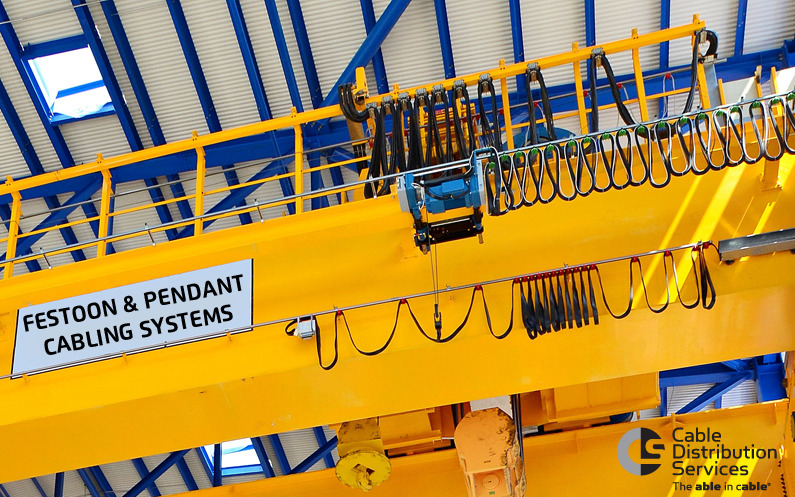 These cables are specially designed with lateral suspension strands and are used in remote control overhead cranes from a pendant controller or switch. 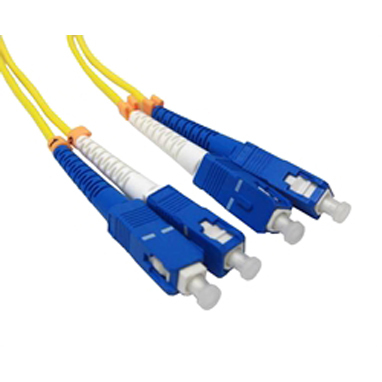 They can also be used for installations where the suspended length of the cable does not exceed 50m. 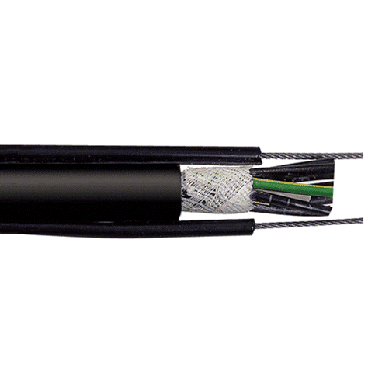 300/500V cables, flexible PVC insulated circular cable with 2x opposite supporting elements, plain copper conductors to IEC 60228 Class 5. We have the following Pendant cables in stock now! 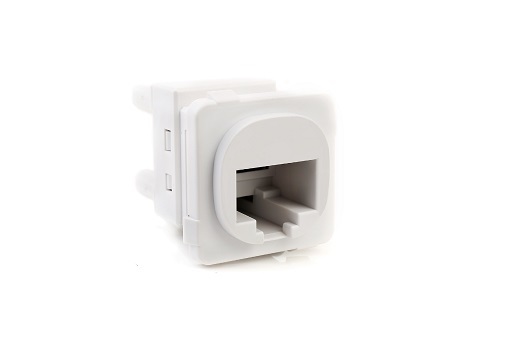 Our flat festoon cables are designed to efficiently power or control a variety of applications where continuous flexing or twisting is standard. 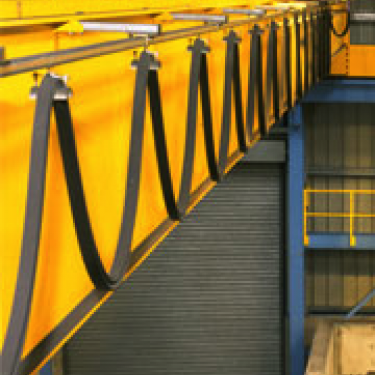 This can include power tracks for conveyor, hoist and crane systems and cable tenders. 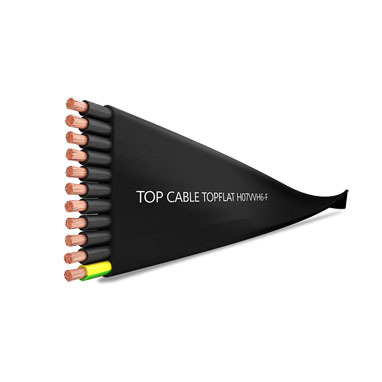 The TOPFLAT® H05VVH6-F & H07VVH6-F is a flat cable specially designed for cranes, lifts, hoists and conveyor systems. 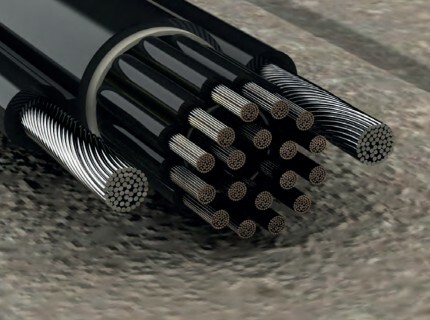 The hanging length of the cable can reach up to 35m and its pull out speed can reach up to 1.6 m/s (overlaying cables is not recommended when installing). These cables are used for festoon and handling systems, machine tools, lifts and e-chain cable carrier systems. For applications with high mechanical stress and frequent bending in one plane only. 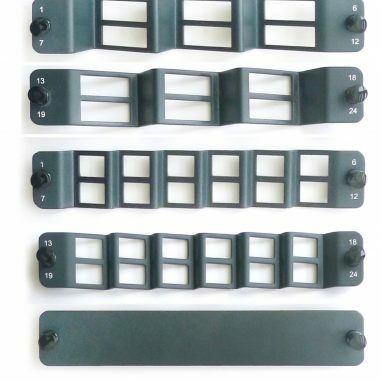 300/500V cables, EPR rubber compound insulated, PCP rubber compound outer sheath, plain copper conductors, 25mm2 extra flexible stranded class 6, 35mm2 flexible stranded class 5, to IEC 60228/DIN VDE 0295. These cables are used for festoon and handling systems, machine tools, lifts and e-chain cable carrier systems. 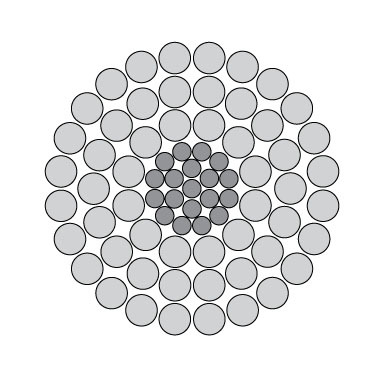 For applications with high mechanical stress and frequent bending in one plane only. Copper screens are efficient against electro magnetic disturbances caused by power cables. 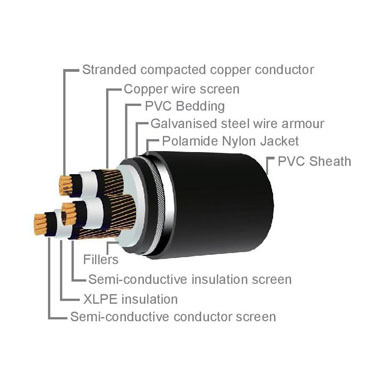 300/500V cables, EPR rubber compound insulated, PCP rubber compound outer sheath, tinned copper braid screen with >80% coverage, flame retardant, plain copper conductors, 25mm2 extra flexible stranded class 6, 35mm2 flexible stranded class 5, to IEC 60228/DIN VDE 0295. If you require any further information about our pendant or festoon cables, please don’t hesitate to contact Neville Hawkins at Cable Distribution Services on 1800 438 222 or email us today!